I was going to take Annie to her first show this weekend but all show's are cancelled for now because of the EHM breakout. Sounds like pretty nasty stuff. MP can you tell us more about this? Have you seen any cases? It is EHV-1. This is one of the viruses that are included in most 4/5/6-way vaccines. Most often, it causes your basic cold virus signs of fever, lethargy, runny nose, inappetance, etc. Unfortunately this variant of the virus is much more dangerous as it is more likely to cause the neurologic form of the disease. Horses with the neurologic form may develop signs of weakness, staggering, paralysis/paresis and can become recumbent. The virus is spread via aerosols as well as direct and indirect contact. The incubation period is 1-2 days at which time the fever usually appears. Then the horse will shed the virus for 7-10 days. Neurologic signs tend to occur around 10 days after exposure, at the time a second wave of fever develops. The best way to protect your horse is to not have any contact with outside horses. This includes making sure that any people coming to your barn that also visit other barns need to clean up and change their clothes and boots (including vets, farriers, hay delivery people, anyone with other horse contact). If your horse has been exposed, check rectal temps twice daily for two weeks. A temp over 101F should be noted and that horse isolated and monitored much more closely. If they start to show any signs of disease, call your vet ASAP. My barn has cancelled all our shows and closed our herd for the time being. Three barns in our area have been exposed and are under quarantine so we are taking absolutely no chances of exposing our horses. We aren't even taking them out into the trail system behind our land. Thanks for all the info MP. Thanks for all the info MP. My horses have their own barn and pasture and so I'm really glad of that right now. I'm just leaving them right where they are until this thing passes. I did hear that farrier's were not even doing their jobs right now in some barns just as an extra precaution not to spread the virus. 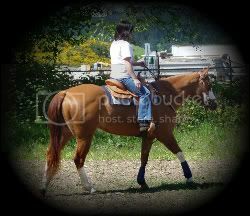 My horses aren't due to have their feet done until June 10th. Oh one more question, are horses actually dieing from this virus? Why is it called equine herpesvirus myeloencephalopathy, is it actually a herpesvirus? Yes, several horses have been euthanized so far. The difficulty with diseases that cause a horse to become recumbent (down/unable to rise) is that they are literally crushing themselves to death when down for prolonged periods of time. Yes, it is a herpsvirus. Herpesviruses are a common type of virus. There are at least 4 known in horses. EHV-1 causes respiratory disease and abortion and is the most common cause of the neurologic form. EHV-2 is uncommon and isn't well understood. EHV-3 causes Equine Coital Exanthema, a venereal disease. EHV-4 is one of the most common cause of respiratory disease and very rarely has resulted in neurologic disease. So will the 4 way or whatever shots help prevent infection? How does the virus spread? Are mosquitoes carriers? My horses don't leave the property but my neighbors back behind do plateaus... they've already given us scares before, like when her gelding got swamp fever.... ugh. One more worry. I don't think it has spread that far south Krickette, This was part of the email I got from my vet. Although It apparently is being spread by horses that travel all over to shows so that's why they are stressing not to travel and cacelling shows. Currently, there are numerous reports of equine herpesvirus myeloencephalopathy (EHM) affecting horses and farms across the U.S. and Canada. This outbreak appears related to initial cases at a cutting horse show in Ogden Utah, which was held from April 29 - May 8. Horses at that event may have been exposed to this virus and subsequently spread the infection to other horses. While the true extent of this disease outbreak is uncertain, there is clearly a very significant elevated risk of EHM cases at this time. At this time control of the outbreak is critically dependent on biosecurity. While there are vaccines for EHV1, the newer mutant neurotropic form of the disease does not yet have a proven vaccine. Firstly we recommend non essential travel be reduced until the actual state of this outbreak is more understood. Horses that will be travelling in the Western US, should check with the appropriate state veterinary office to see if there are any travel restrictions, they should receive the EHV1 vaccination for protection and reduce exposure to unknown horses. The first signs of the disease include fever (greater than 102 degrees). Suspect horses should be quarantined and evaluated by your veterinarian immediately as this is a reportable disease. TRANSMISSION: Horse to horse transmission of the herpes viruses is significant when horses are kept in close contact. Contaminated equipment (e.g., water buckets, water hose handles, cleaning and grooming equipment etc) can also be a source of infection and people can transmit the virus on their hands or clothes. An infected horse will excrete and aerosolize the virus in respiratory secretions. All horses with clinical signs are expected to be contagious, although horses not showing any clinical signs can shed EHV. Neurologic horses shed large quantities of EHV-1 and should be securely isolated. The virus is estimated to be viable for up to 7 days in the environment under normal circumstances but may remain viable for a maximum of one month under perfect experimental conditions. The virus is easily killed in the environment by most disinfectants. The normal 4/5/6-way vaccine (killed virus) will not aid in this infection. The EHV vaccine (such as Pneumabort) made for pregnant mares may help though. I was talking to the Assistant State Vet this morning and so far they aren't finding any secondary infections. Seems a few people around here don't seem to think that this is such a big deal, but I'm not taking any chances, hindsight is always 20/20. If it were the standard EHV, then I'd be less worried, but this one is dangerous.